Just working on this site made us wish we had a boat! The comprehensive sales page shows all their products to their best advantage and describes them in detail. Potential boat buyers know immediately what they are getting and can plan the trip down to Bruton's. The site also details their service and parts selections. We maintain the inventory page for them. This family-owned and managed Mercury Marine dealer has been in business in Golden, MO, for a long time. 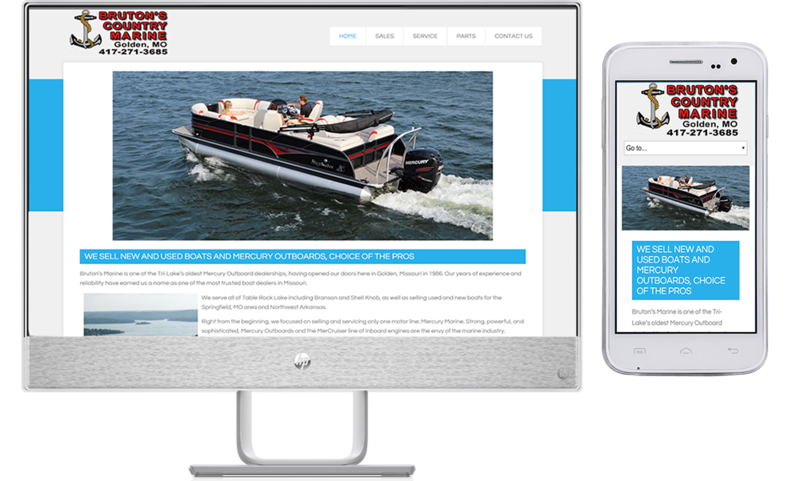 It's a very competitive market, selling boats right near a big recreational lake, and the site helps the company stay on top of sales and service.